There are so many ways to teach your kids about holy week, and I want to know what your ideas are! First, here are some of my posts from the archives! I’ll update this list as I make new posts for Holy Week. Now it’s your turn! Feel free to share more than one link if you have more than one post! 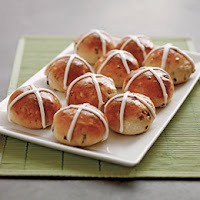 I will be hosting another linky soon for religious Easter ideas, so get those posts ready- but hang onto the links! Use this linky for celebration ideas from Palm Sunday through Holy Saturday. 🙂 Please link straight to your post address, not your generic blog address. Also, share a link back to this post. Thanks! Hi! You're posts have become a regular thing for me now! I teach 8 year olds here in Aberdeen , Scotland and they're loving the jazzed up RE lessons we're now having!! They fill me with joy! Our parish youth group leaders get very excited at the fantastic crafts that keep on popping up….you are helping to make our lives a lot easier and our kids lives a lot more spiritual! Thank you! I loved you Catholic Mums confernece article….inspiring and uplifting, I wish we had smiliar here! Keep up the great work….your har.d work is making a difference around the world! I would love to leave a link, but don't have a blog:) I love this site. The Holy Week Easter Tree on Etsy is beautiful! and has 8 ornaments, a cross, a tree, and devotional booklet. Check it out! Have a great Holy Week! Just wondering if you've come across any seder meal ideas to do with children? Thanks for these links!